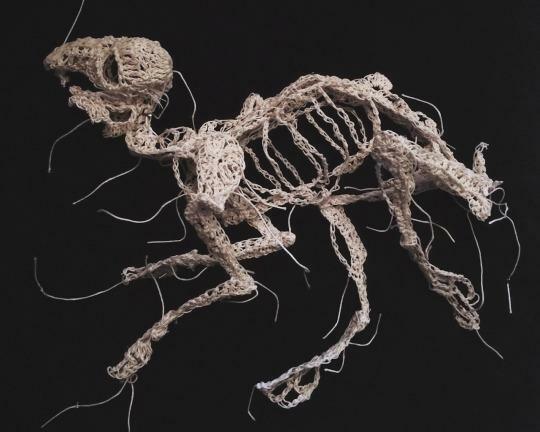 Caitlin McCormack’s artwork looks ghoulish, but that’s just because it looks so real. 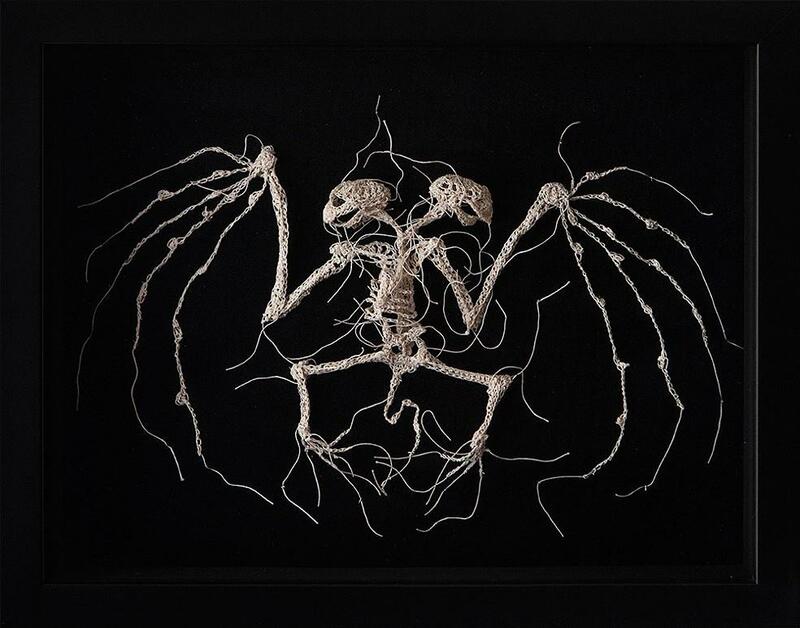 The artist replicates bird skeletons on black velvet background, made by crocheting cotton string with glue. When combined, the materials look like bone tissue. McCormack told Philly.com that she started making the sculptures as a way to cope the loss of her grandparents, who died within months of each other. She inherited her crochet skills and supplies from her talented grandmother and her grandfather was a skilled woodworker who created lifelike birds. “The works are kind of a synthesis of their very separate creations,” McCormack told The Guardian. 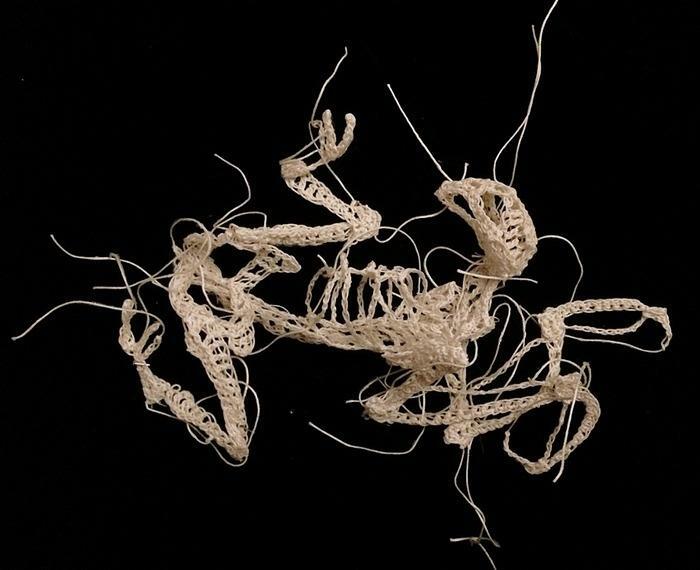 Her intricate bone work may seem a bit strange, but we’ve seen odder ways to combine a passion for crocheting and birds.